Late one night I was hungry. 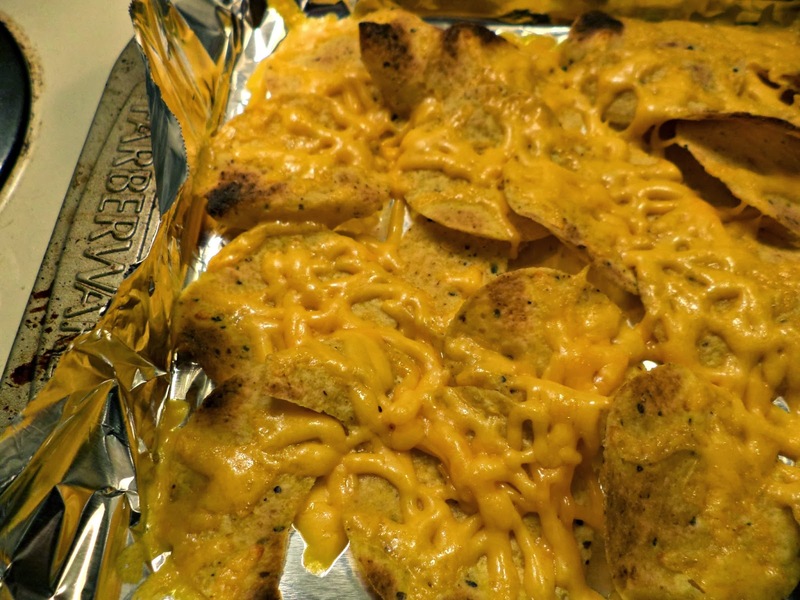 I decided to make some cheese nachos. It's so quick and easy! 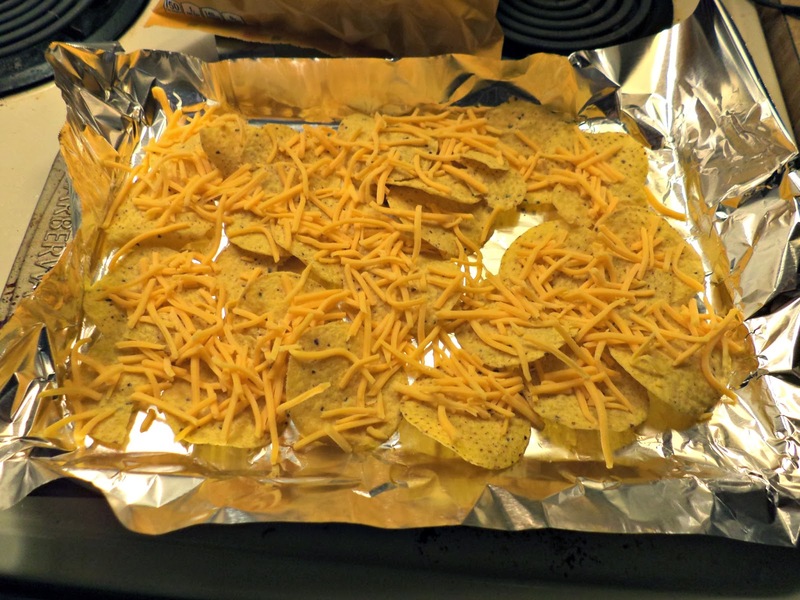 Arrange the tortilla chips on the foil lined cookie sheet. Turn on oven broiler. 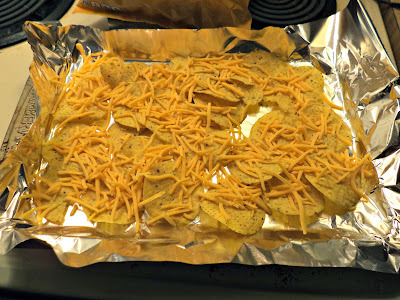 Place cheese nacho covered cookie sheet into oven under the broiler. Watch carefully as they burn fast! 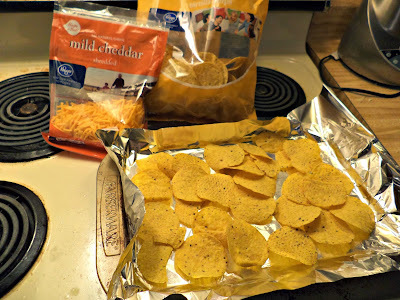 Remove from oven when the cheese is sufficiently melted. We would also do this with taco cheese on flour tortillas. We them eat them with salsa. Yum! Do you have a go to snack when it's late and you're hungry? Tell me about it in the comments!